Wagner did the same with his original sketches, very naive sketches: an oak tree here, some other trees over there; he has a river and a hill with a castle on it. 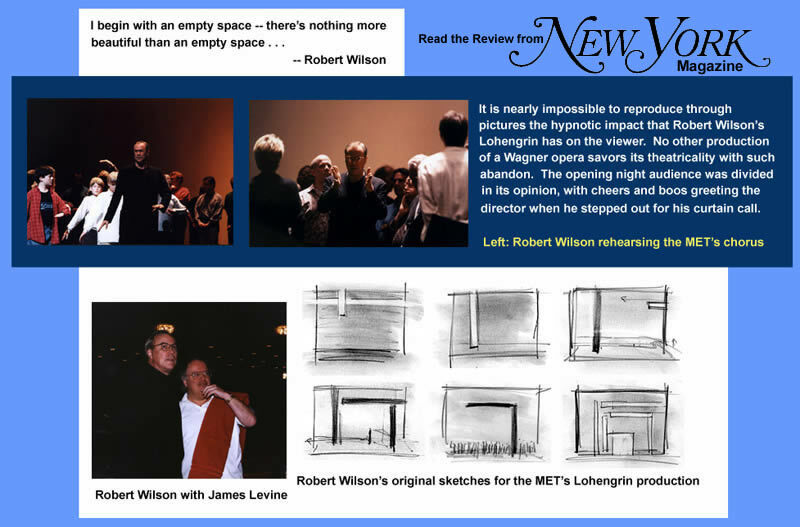 Then he has a courtyard in the second act. In the third act he has a bed on the stage with a canopy -- the interior of a bedroom. Actually, that is the same thing I have done. 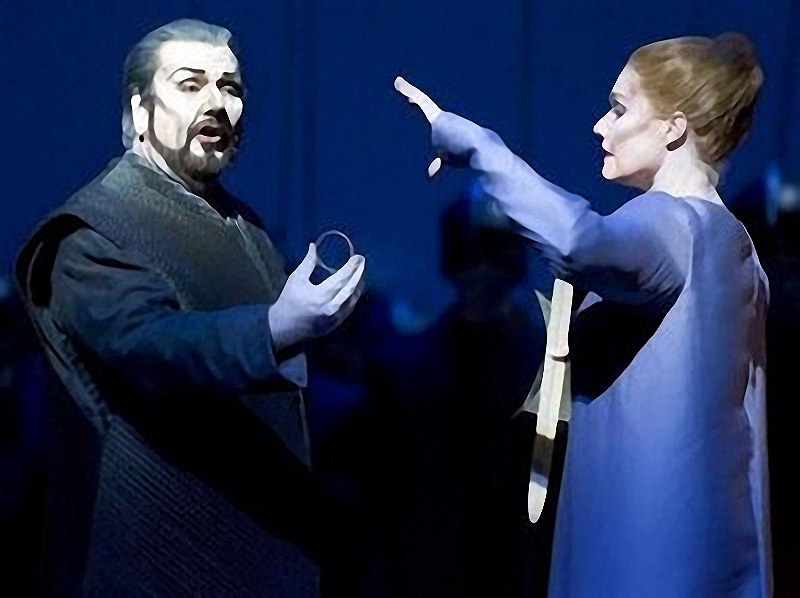 There is a bar of light here, and a second bar of light that is a bit smaller, and then a construction and another square -- that is Richard Wagner. It is the same spatial relationship. 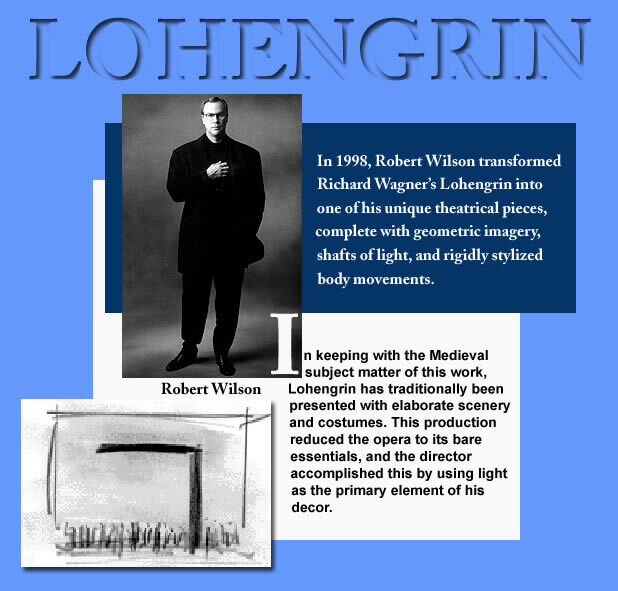 Read Alex Ross's New Yorker review of Robert Wilson's LOHENGRIN by clicking here. 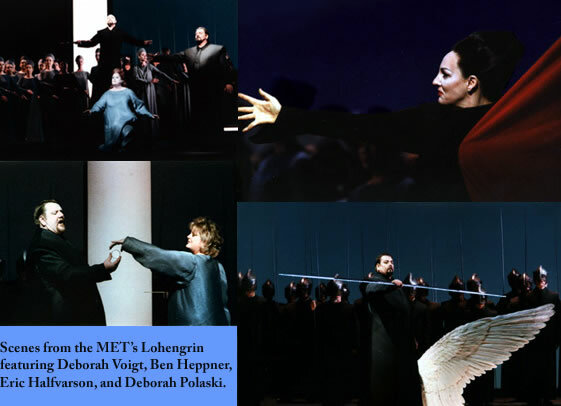 In a curtain speech before the performance, general manager Joseph Volpe dedicated the performance to Leonie Rysanek who died March 7, 1998.